Team - Waring + Co.
Our services include a free initial consultation in which full details of your potential claim will be taken. All of our team are highly experienced in our field of practice, but your claim will be assigned according to our most appropriate team member, with the experience to investigate and vigorously pursue your claim from the outset. They will keep you fully informed of progress and achieve the best possible outcome as quickly as possible. Solicitor / Director in the London Office, specialising in cases involving complex and serious personal injuries, clinical negligence and employment law. Dual qualified Solicitor and Attorney and Counsellor at Law in the USA (New York). Accredited CEDR Mediator. Senior Litigation Manager in the London Office, Angela joined our team in 1998. Specialises in cases involving catastrophic and complex personal injury and fatality claims. Litigation Manager in our London Office, Ian joined our team in 1998. Many years experience dealing with claims from small track to multi track personal injury claims arising from road traffic accidents, workplace accidents and tripping accidents. Solicitor / Director in our Bolton Office. Specialises in cases involving complex and serious personal injuries and clinical negligence. 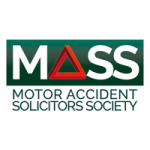 Member of the Association of Personal Injury Lawyers and Motor Accident Solicitors Society. Trainee Solicitor Christopher Hutchinson joined our team in 2013. Deals with small to multi track claims for personal injuries occurring in road traffic accidents, workplace accidents and tripping accidents, together with employment law related issues. Senior Litigation Manager Andrew Moores joined our team in 1999. Specialises in cases involving complex and serious injuries occurring in road traffic, workplace accidents and tripping accidents.